Gaza terrorists continue rocket barrage on south, even after reports of ceasefire. Dozens of rockets have been fired in the past few hours from Gaza toward Israeli communities in the Gaza envelope, even after reports of a ceasefire with Hamas. After midnight on Monday, the Iron Dome anti-missile system intercepted at least one rocket. At approximately 1:00 a.m., a barrage was fired at the Eshkol Regional Council. According to the IDF Spokesperson's Unit, up until 10:00 p.m., approximately 30 launches were identified from the Gaza Strip towards Israel. The IDF Iron Dome Aerial Defense System intercepted several launches. The vast majority of the launches which weren't intercepted fell in open areas. 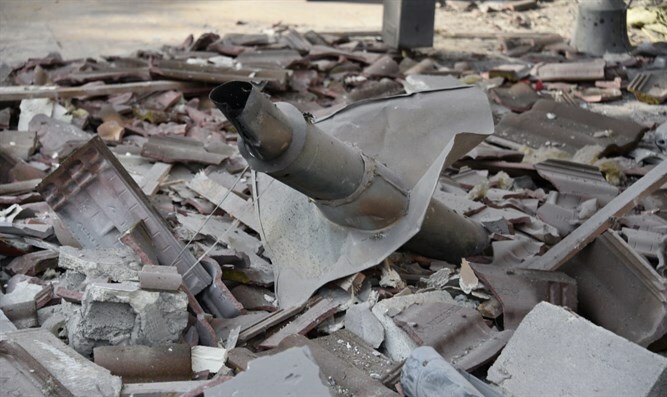 On Monday evening, a home in Sderot was hit by a rocket that did not explode. No one was hurt. The IDF continues to attack targets in Gaza, including destroying the office of Hamas leader Ismail Haniyeh on Monday evening. Meanwhile, New Right chairman and Education Minister Naftali Bennett warned Netanyahu on Monday evening against a ceasefire, saying that "a ceasefire at this moment will be a tailwind for terrorism." "There is no country in the world that does not charge a price for missiles on its citizens, and there is no country in the world where the blood of citizens is cheap, as we have been experiencing in the past few days. Bombing empty buildings endangers Israel's deterrence and brings the next missiles upon us," said Bennett.